Can you imagine living in such a beautiful place? Well, while on a trip in Canada, we discovered you can. 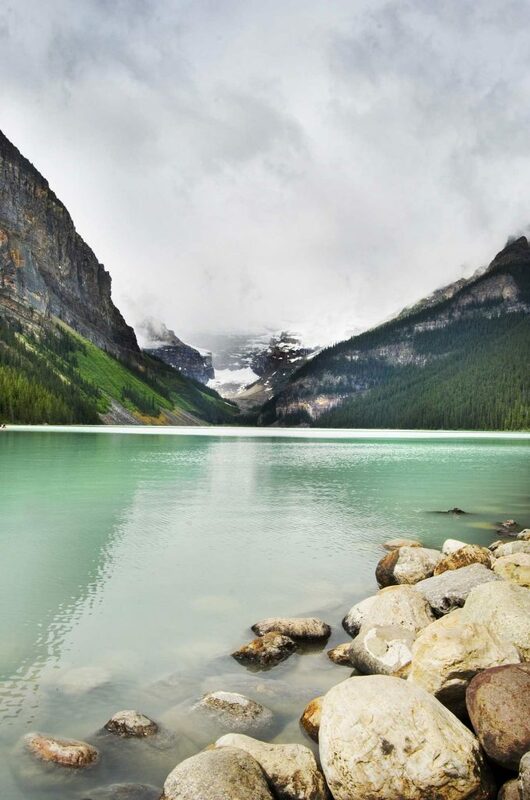 This travel photo comes from Lake Louise, Alberta in Canada. The hamlet (small human settlement similar to a village) has the same name as the beautiful Lake Louise that welcomes tourists with its pristine view. You don’t have to spend a lot of time close to Lake Louise (although we don’t think people would mind living here!) to allow your brain and body to take a well-deserved rest, and to allow yourself to meditate or… take amazing travel photos such as this one. If you’re in Canada any time soon, don’t forget about visiting Lake Louise!